In this Jan. 31, 2017, file photo, cars travel one of the roads leading to Walt Disney World in Lake Buena Vista, Fla. A regional director of the National Labor Relations Board last week ruled that about 60 drivers who pick up Disney World guests using the Lyft app can be represented by the Teamsters local in Orlando. The Lyft drivers are Disney World employees who earn extra money by driving guests around the resort that is roughly the size of the city of San Francisco. The drivers are summoned by a Lyft app. They are expected to entertain with storytelling as they whisk passengers around Walt Disney World in what are known as "Minnie Vans," named after Minnie Mouse. And now these drivers can be represented by a union. A regional director of the National Labor Relations Board last week ruled about 60 drivers who pick up Disney World guests using the Lyft app can be represented by the Teamsters local in Orlando. The Lyft drivers are Disney World employees who earn extra money by driving guests around the resort that is roughly the size of the city of San Francisco. Disney had argued that the Lyft driver jobs couldn't be covered by a union since the Teamsters waived their right to represent any workers not mentioned in its five-year contract. The Teamsters negotiated the contract in 2014 along with five other unions that form a coalition called the Service Trades Council. 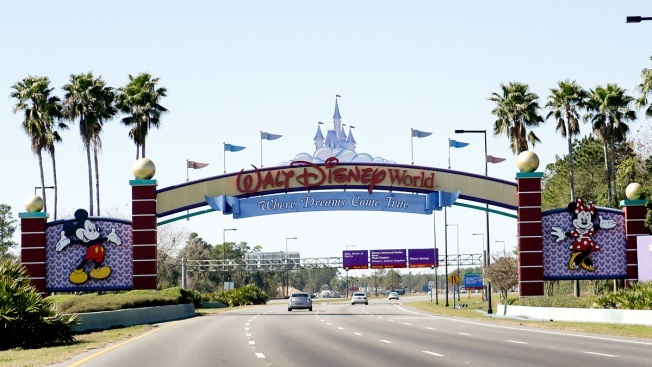 The council already represents about half of the 77,000 employees at Disney World. But regional NLRB director David Cohen wrote in his decision last week that the waiver doesn't apply to the "Minnie Van" drivers since the Lyft job didn't exist when the contract was negotiated. Cohen also said that the job the "Minnie Van" drivers do is hardly any different than bus drivers and other transportation workers already represented by the Teamsters. Spokespeople for Lyft and Disney World didn't immediately return email inquiries on Monday. Disney World and Lyft reached an agreement last year to start the new service limited to guests at the theme park resort. For $20 per trip, guests can get the private rides using the Lyft app on their phones instead of having to wait for Disney buses to drive them from resorts to parks to Disney's entertainment complex. The "Minnie Van" drivers are paid anywhere from $13 to $21 an hour and have a uniform of black denims and a gray shirt. They get two weeks of training in which they are instructed to tell stories to their passengers, advise them about things to do at Walt Disney World and help resolve any problems the Disney guests may encounter.